AFTER a long day at the office staring at a computer screen, sometimes the last thing you want to do is look at another device. Unless it's stretching back on the couch, checking out cool apps on the new 10.5 inch iPad Pro. This latest iteration is definitely a step up from the last 9.7 inch model. What is most noticeable first up, apart from a 20% larger Retina display, is the super clever ProMotion technology which provides for refresh rates of 120Hz. Scrolling through a website, magazine flipboard or word processing document is superbly smooth on the eye. Coupled with the Apple Pencil, which now has 20-millisecond latency, creating art or editing photos is fluid fun. My wife enjoys colouring in while watching TV, and doing that on an iPad, is a relaxing, laid back experience. But it's not just about entertainment. The iPad Pro is increasingly being pitched at professionals - those who need powerful technology they can take with them on the road. While Windows users will prefer Microsoft's Surface Pro, for Apple fans, the iPad Pro is becoming a richer experience, thanks to some top apps. I spent some time checking out Photos Affinity - a fully featured photo editing program that can do everything from deep etches to photo transformations - in minutes. In our office, we have artists to do that sort of work - and it can be time consuming. A decent photo etch could take 30 minutes to an hour - or for an amateur like me - hours. In Affinity, it literally is beautifully simple and quick. 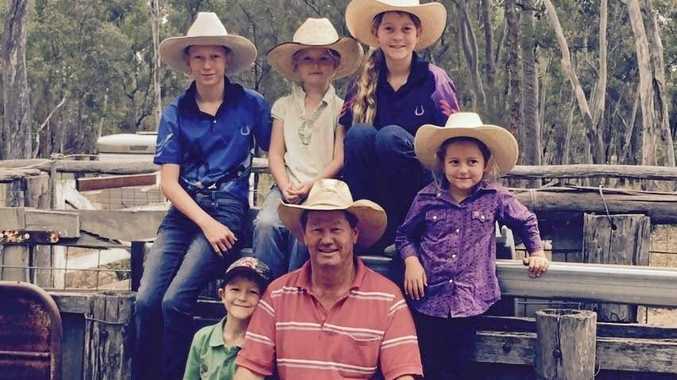 Removing unwanted items from a photo takes seconds. You can also do RAW editing, add filters, adjust lighting, replace sky, work in multiple channels, change eye colour, tones, hide noisy skies. The list of options, each featuring tutorials, is endless. 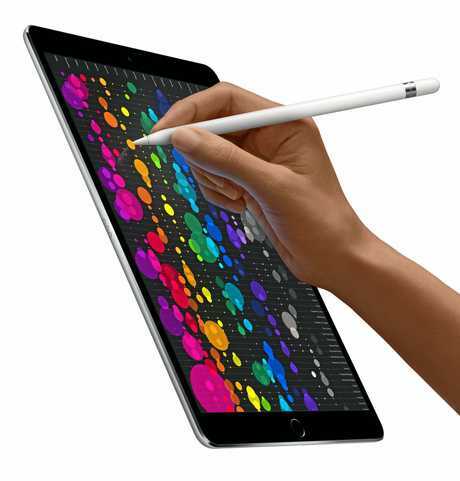 Other apps which make great use of the iPad Pro include Paper, Procreate and the clever Adobe range, while Apple favourites like Garage Band and iMovie benefit from the increased screen real estate and processing power. Looking at the beta version of the iOS 11, which will be released soon, there's also much to love with drag and drop functionality, the Files app, a customisable Dock and improved multitasking. Apple says the new A10X Fusion chip rivals that of today's fastest laptop PCs. PC Authority wrote: "While the last generation A9 was no slouch, we were still staggered by the performance of the A10X in our benchmarks, scoring 9380 in our multicore tests and 3,930 for single core. That's almost double the performance of the iPad 9.7, and more importantly, smashes the 5,342 multicore score of the Core m3 Surface Pro. It also manages to beat the Core i5 model (7,544), meaning the iPad Pro is roughly on par with the top end Surface Pro." But the article goes on to say better RAM offerings by the Surface Pro make it more suited for multitasking, particularly for business users. One of the welcome additions is the 12 megapixel camera with optical stabilisation from the the iPhone 7. When it comes to gaming, the faster processor and better display is appreciated, especially in graphic intensive games. Apple says the six-core CPU and 12-core GPU deliver up to 30% faster CPU performance and 40% faster graphics performance than the A9X chip. If you enjoy laying back in bed watching Netflix, the iPad is definitely lighter than many tablets, while the four-speaker audio system delivers rich sound. 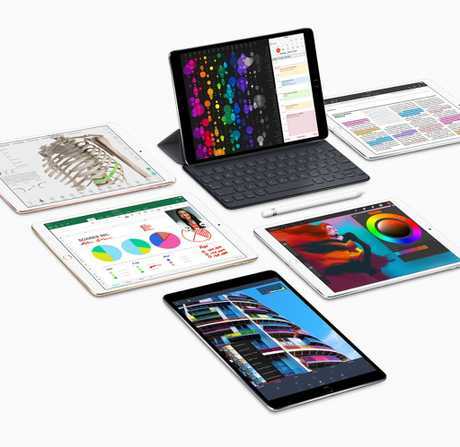 For a device that combines productivity, there's a lot going for the latest iPad Pro, which is available in both 10.5 inch and 12.9 inch configurations. The 10.5-inch iPad Pro comes in silver, space grey, gold and rose gold starting at RRP) A$979 i for the 64GB with Wi-Fi model and starting at RRP A$1179 for the 64GB Wi-Fi + Cellular model. The 12.9-inch iPad Pro has a RRP A$1199 for the 64GB Wi-Fi model and starting at RRP A$1399 for the 64GB Wi-Fi + Cellular model. Apple Pencil is available for RRP A$145. The Smart Keyboard is available in charcoal grey for RRP A$235 for the 10.5-inch iPad Pro and RRP A$245 for the 12.9-inch iPad Pro. A new Leather Sleeve is available for both the 10.5-inch and 12.9-inch iPad Pro in a range of colours for RRP A$189 inc. and RRP A$219.